In yesterday’s mock draft update I finally warmed up enough to the idea of spending the #12 pick on an offensive lineman that I gave the Vikings Colorado tackle Nate Solder. Then, wouldn’t you know it, Solder went and laid an egg in the Senior Bowl. He was getting beat by mid-to-late round picks on a consistent basis, and the big man looked like he might just be more of what the Vikings already have. By that, I mean a giant tackle that struggles in pass protection but can occasionally use his big frame to pave the way for the ball carrier. The Nevada pistol quarterback drew a ton of praise during Senior Bowl practices, and he had a few chances to show off his strengths on Saturday, mainly his strong arm and good mobility. What he didn’t do was address any questions about his ability to see the field and read defenses. Kaepernick is drawing a lot of comparisons to Joe Webb, athletic but raw, but he is expected to have climbed his way into competition to be the third quarterback drafted. Here we have the Senior Bowl MVP out of Florida State not hurting his draft stock, not really helping it, but most likely just solidifying his status as a second round consideration. Ponder went 7 of 13 for 132 yards and two touchdowns, but anyone watching will realize he got some great help from his receivers in putting up those stats. His arm strength and overall health is still a concern, but he looked like a quarterback perfectly capable of managing a football game at the next level. Whether or not he has what it takes to be truly successful at the next level is definitely more of a question. Stanzi really had a poor week of practices, but the Iowa quarterback had an impressive outing during the Senior Bowl. A couple of great throws were overshadowed by the television coverage of his leadership moment, when he gathered his teammates to inspire them after a poor first half. Dalton missed most of this game with an injury, so it was hard to get a feel for the TCU quarterback who seems like a possible round two pick. He did have at least one unforgivable miss to a wide open receiver. The Washington product was criticized for going back to school last season as many draftniks had him penciled in as the top pick in 2010. Locker defended himself, saying that the NFL Advisory Committee gave him a second round grade. Now, a year later, we are seeing why he received such a low grade. Locker’s accuracy, footwork, and decision making was awful as Mike Mayock repeatedly pointed out. Locker fumbled twice and nearly threw a pick in the endzone. Not a good showing, and it is now difficult seeing him drafted in the first round. The name isn’t going to go away anytime soon, like it or not. Vince Young will continue to be linked to the Vikings until he signs a contract with some team not named the Titans. Today, Adam Schefter reported that the Titans are determined to trade Young instead of simply cutting him. That task might be easier said than done, however, as Young’s contract is not at all attractive unless someone honestly and truly thinks he’s hands-down their next franchise quarterback. That contract includes a $4.25 million on the 10th day of the new league year (whenever that ends up being). Adam Schefter was on a roll today. He also reported that the Eagles are prepared to use the franchise tag (assuming that option is available when the CBA is settled) on Pro Bowl quarterback Michael Vick. He also says that the Eagles are willing to listen to offers from other teams interested in obtaining Kevin Kolb. 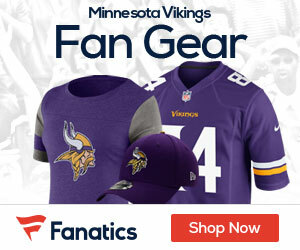 The Vikings have not vocalized any interest in either Vick or Kolb, but both have been names that Vikings fans have tossed around on a regular basis. We all know that there is ZERO chance of Manning hitting the free agent market. However, does anyone else find it astonishing that the 35 year old quarterback is willing to play in the Pro Bowl today? He is on the verge of becoming the highest paid player in the history of the sport and is still willing to risk injury for a meaningless all-star scrimmage. Sure, the rules are modified to place great emphasis to on protecting quarterbacks in the Pro Bowl, but as Matt Hasselback proved this year, injury can strike at any moment even if contact isn’t involved. Ricky Stanzi had some good numbers this year….but isn’t the best decision maker…not a great asset for the NFL. Its not that I disagree that O-Line is important. But Solder was very disappointing and I kept a close eye on him while watching the game. Would there really be a difference between a guy like Solder in the first and a guy like Hudson in the second? It could be argued that Hudson would be the better fit for the Vikings. As much as I am for an improved O-Line or getting that QB of the future, I really think the Vikings need to take BPA or trade back when #12 rolls around. Freds always enjoyed seeing Alabama’s QB Greg McElroy play. From a draft standpoint, he is not a top prospect, but will go later in the draft. At 6-2 he appears a bit short and isn’t a great scrambler. He is a decent pocket passer and is a smart kid. We may find given time, who knows. Might be worth a flyer late. I want to see a good QB in Minny. The Eagles can’t afford to make a move with either Kolb or Vick. With the melt down Mike had at the end of the year with his lousy play, Reid has to wonder if Vick is a the real deal or was the middle of last year a fluke that Vick was so good. After the Vikes killed Vick during their game, every other team pressured him and Vick proved once again that he is a unable to read and react. This doesn’t paint a pretty picture for Mike and he may find himself a back up to Kolb. This draft class is looking like it will be one of the most difficult to read in recent years. On the draft….let’s hope he doesn’t go “Mike Tice” and completely freeze up. How about d-tackle or d-end? Vikes didn’t get any pass rush last year and sounds like phat Pat isn’t coming back next year. Good defense can make a poor offense look better. Wish idiot Chilly wouldn’t have wasted 3rd round pick!!! I think vikes trading back a few spots and drafting Pouncey would be best thing!!! Get a couple more picks and a really good center/guard! !